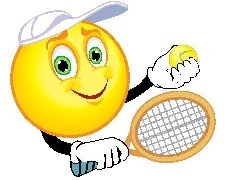 Players in grades K through 5 will learn the fundamentals of tennis through games and skill building activities. Registration will be through Stone Alley on a first come, first served basis.
! !Registration for the Fall 2018 program will open soon!! Instructional Times: One hour class offered on MONDAYS at 3:30 p.m.
One hour class offered on MONDAYS at 4:30 p.m.